What toxins have been linked to secondary parkinsonism? • Mercury- this includes usage in dental amalgams (in the past), in dental fluorescent lamps, preservative thimerosol in vaccines and thermometers. 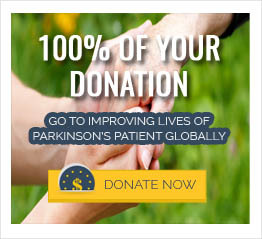 • MPTP – a compound found in animal models of Parkinson’s disease. • Rotenone – a pesticide used in making animal models of Parkinson’s disease. • Carbon Monoxide – emitted in natural gas leaks and combustion engine. • Cyanide – majority of cases of cyanide poisoning is mismanagement of the medication sodium nitroprusside. • Chlorine – from common swimming pools, bleaches and also detergents; methylene chloride used in pharmaceuticals, aerosols and chemical processing; perchloroethylene and trichloroethylene are compounds used in cleaning and also adhesives; and polyvinyl chloride used in plastics. • Manganese – this includes exposure from mining, welding and methcathinone.